L. Britt Swor-Yim, M.D. and her staff provide an array of services to address the widest variety of patient aesthetic goals. The Y LIFT is a minimally invasive facelift, or better described as a facial contouring procedure, which accentuates the cheekbones, under eye area, defines the jawline and lifts the upper neck with no incisions, no general anesthesia, no scars, and no downtime, all while producing instant results. BOTOX® Cosmetic is the first non-surgical solution that is used to reduce and remove frown lines, wrinkles of the forehead, crow’s feet around the eyes, and bunny lines around the nose. These lines are caused by repeated muscle use over time. 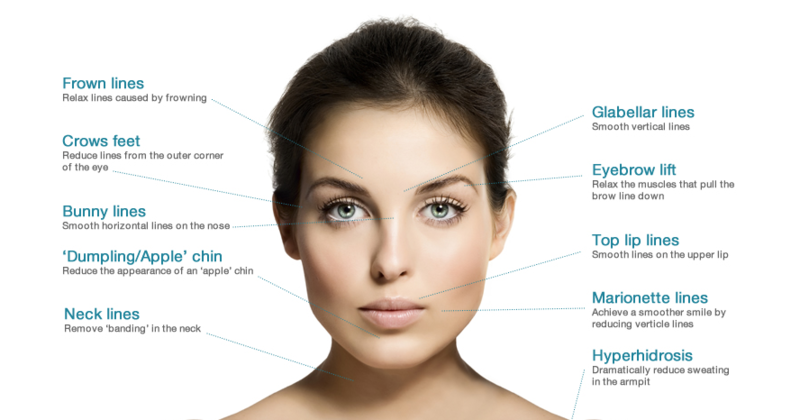 DYSPORT® (formerly known as Reloxin) is an alternative to BOTOX® and is also used for facial wrinkle reduction. XEOMIN®is used for the improvement of moderate to severe folds and lines of the forehead including frown lines (glabellar lines). JUVÉDERM® XC injectable gel is used to soften and correct moderate to severe facial lines and folds, including nasolabial folds (lines below the nose, around the mouth and chin). It can, also, be used to add volume to temples, cheeks, and enhances lips. JUVÉDERM VOLUMA® XC injectable gel is used to correct age-related volume loss. It is used to add volume to cheeks and temples, lasting up to 2 years. RADIESSE® is another dermal filler that adds volume to help smooth moderate to severe facial wrinkles and folds, such as nasolabial folds, and folds around chin and mouth. RADIESSE® may also be used to add volume to cheeks and jawline. BELOTERO BALANCE® is an injectable filler used to smooth and fill in lines and folds, including lip lines and nasolabial folds. Restylane® Silk, Restylane-L®, Perlane®, and Perlane-L® are used to add volume and fullness to the skin to correct moderate to severe facial wrinkles and folds. Restylane® Silk, Restylane-L® may be used for lip enhancement and treatment of lip lines. Kybella is the only FDA-approved injectable treatment for adults that permanently destroys fat cells under the chin. FDA approved for instantly lifting, tightening and contouring areas of face, neck, and body, while simultaneously stimulating body’s natural production of collagen and elastin in the treated area. The procedure of removing unwanted hair by means of exposure to pulses of laser light that destroy the hair follicle. Intense Pulsed Light (IPL) is used to lighten and remove dark spots, sun damage and age spots while producing collagen to improve the overall appearance of skin. Sublative Rejuvenation uses radio frequency to deliver controlled energy to help reduce pores, scars, wrinkles, and improve overall texture of skin. PRP utilizes your own natural platelets to instruct the body to create new collagen for tighter, smoother and better-toned skin. Used for rejuvenation of face, neck, and hands. PRP is also used for hair restoration. Microneedling is a skin rejuvenation procedure involves using fine needles to create tiny, invisible punctures wounds in the top layer of skin, which promotes the growth of collagen and elastin. Laser light beam is used to treat broken capillaries of face, neck, decollete and legs. Injectable solution is used to treat and remove varicose veins and spider veins. Skin tags may be easily removed by cutting, burning or freezing after injecting a small amount of a local anesthetic. BOTOX® has been proven to be an effective treatment for hyperhidrosis, which is an excessive sweating caused by overactive sweat glands. If you think you have hyperhidrosis and would like more information, please contact us today. Research has shown that with a one-time treatment of corrugator and procerus muscles (glabellar lines), BOTOX® promotes a significant and sustained anti-depressant effect. L. Britt Swor-Yim, M.D. works closely with each patient to design an individual treatment program dedicated to achieving the desired results. The consultation includes analyzing every facet of a patient’s face, hands and neck to determine which services and products will provide the maximum benefit. Treatment commences once L. Britt Swor-Yim, M.D. and the patient agree upon the course of action. The length of the initial treatment and follow-up maintenance will depend on the complexity of the program. Private appointments are available Monday through Friday, and occasionally on weekends. Please contact L. Britt Swor-Yim, M.D. at 415-596-1075 or send an email request to her at info@drsworyim.com to schedule.